Sometimes our skin ages much faster than we expect. It loses elasticity, gets muddy looking, rough, saggy and wrinkly. As a matter of fact, after the age of 30, we lose around 1% of skin elasticity every year. The breakdown of collagen is the main culprit behind this. Although there are many treatments available, laser treatment is considered as one the most effective ways to treat loose and saggy skin. But, does laser skin tightening work and what you can expect from it, are questions in everyone’s mind. What makes Laser Treatment the Best? 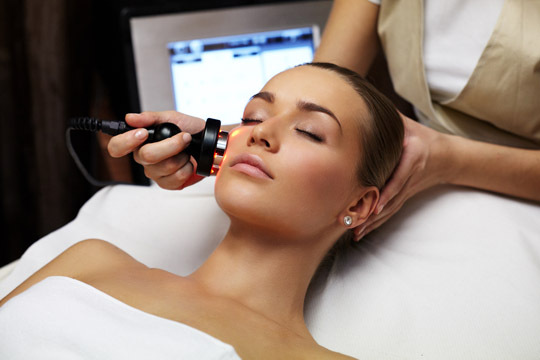 Lasers of different wavelengths have been marketed specifically for wrinkle reduction. These include Fraxel and Thermage Lasers. The versatility of these high-powered lasers and their efficacy for skin tightening offers superior and consistent results for a fraction of the cost, discomfort, as well as down time involved with other procedures. There are a number of settings and parameters that can be used, depending upon the type of skin, depth of the wrinkles, amount of discoloration, and loss of elasticity. Laser for skin tightening will make you look almost 10 years younger after approximately 200 days, if you do a minimum of 3 treatments, spaced 6 to 8 weeks apart. The results are gradual, so no one will know that you have undergone treatment. Each treatment session takes about 30 minutes, and patients can resume routine activities almost immediately. You can even undergo treatment during your lunch hour and return to work. Your skin might look a little red, but there is generally no swelling or bruising. Avoid going out in the sun without sunscreen on areas you are undergoing treatment for, 5 days before your treatment. Avoid sunless tanning products, spray tanning and tanning beds. Don’t use Retin A on the treatment area for 7 days before your treatment. If you’ve used Accutane in the past, you need to be off this product for at least 6 months before treatment. Before you undergo laser for skin tightening, you will need to complete some paperwork, including a medical history, skin type chart, as well as laser consent form. This just takes a few minutes. After reviewing your history and answering all your questions, you will be taken to the treatment room. The treatment site will be wiped with a wash cloth to ensure there is no hair, makeup, or other cosmetic product present. Following this, the technician will calibrate the laser for the procedure, and you will be given appropriate safety goggles. Generally, the laser pulse targets each section on the face using a 10mm spot size. A number of passes are made on the treatment area with the laser. After your skin tightening treatment, the treated area will look a little flushed. Your skin will be sensitive to sunlight, so you will need to apply sunscreen before leaving. You will be provided with sunscreen, so there is no need to carry your own. You will be able to go about your routine activities almost immediately after treatment, and you can even shower, apply makeup, etc. One of the biggest advantages is that there is no down time involved after treatment. You will be given aftercare instructions that need to be followed strictly. And then you only have to wait for the compliments to start pouring in!